To help you spread the word about being included as a Certified Partner in our Top Local Agency marketplace, our team has created a set of promotional materials for use in any way you see fit. These badges can be placed anywhere you can embed HTML, but the most common places that our agency partners place them is in their website footer, on their homepage, on their contact page, or on their services pages. To obtain your badge(s), you'll need to visit the Badging Center. If you have multiple locations, you may switch between them using the dropdown selector. Click the badge you'd like to embed, then choose a linking option: Top Agency list will link back to the list page you're featured on, Top Agency profile will link back to your actual profile, and Feature Client Reviews will bring clients directly to the review section. Once you've made your choices, simply click copy to grab the embed code and place it on your site. Pro-Tip: If you're grabbing multiple badges, be sure to refresh the page in-between each one to ensure you get the right embed code. Why Should You "Badge Up"? 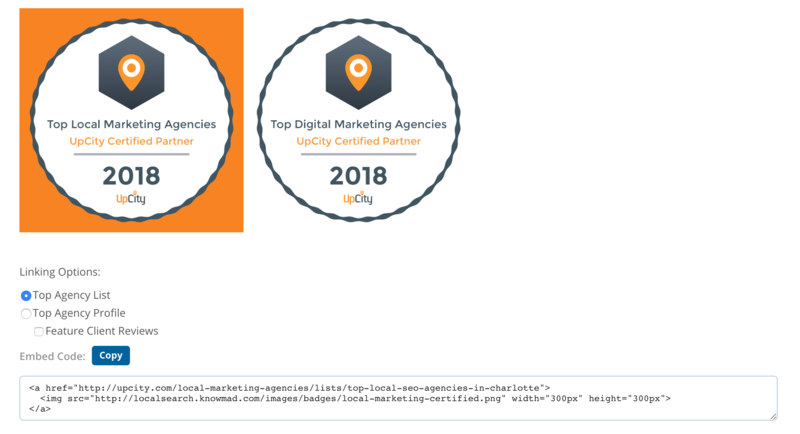 You might be wondering why you'd want to display one of your badges on your site (or "badge up" as we say here at UpCity). 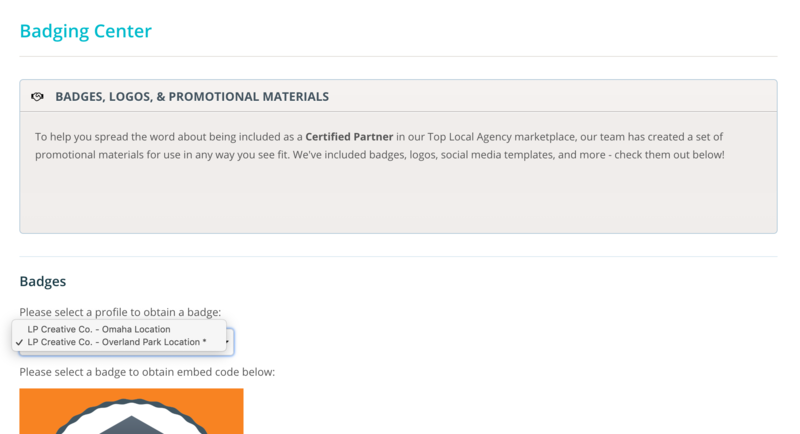 Adding one of our badges to your site shows visitors that you're a qualified and respected agency. Further, it gives prospective clients peace of mind, allowing them to click through and read reviews directly on your profile.